It's been a busy week - we've gained quite a few new fans, followers, and subscribers, and we're very glad to have y'all on board. Issue #3 is close to complete, and we couldn't be more excited - aside from four very cool stories and a ParaRiffs feature about Futurama, we have some seriously cool interviews with our authors. We're still working on the details and design, but rest assured it will be a worthy successor to our first two issues. "You're supposed to lead, C..."
Suhail will receive a free digital subscription for the whole dang cycle. 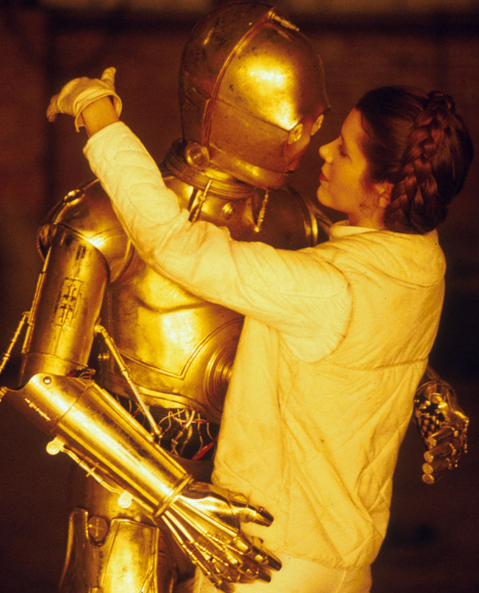 "Princess Lea, I am fluent in over six million forms of communication...Including the 'language of Love!'" Ken gets a free digital copy of issue #2.